When you have people over, use Wi-Fi bridge to bring them into your home Wi-Fi network without revealing the password. 1. Open Settings, go to Wireless & networks > Tethering & portable hotspot, and enable Wi-Fi bridge. 2. Touch Set Wi-Fi bridge to set up the name and password for your Wi-Fi bridge. 3. 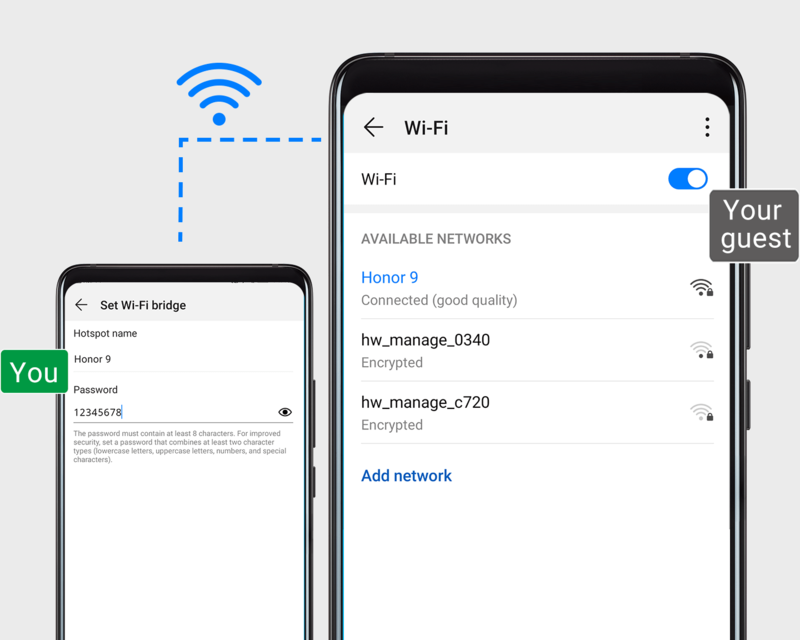 Give your friends the Wi-Fi bridge name and password info, and they'll be able to connect until your turn this feature off.